Adams County is a county located in the state of Iowa. 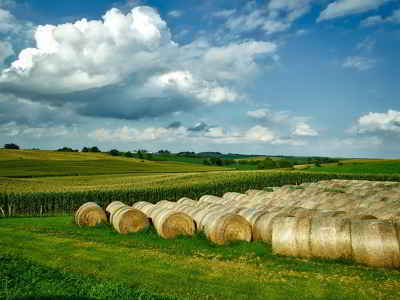 Based on the 2010 census, the population was 4,029, making it the least-populated county in Iowa. Adams County was created on January 15, 1851. The county seat is Corning. The county is named in honor of either John Adams, the second president of the United States, or his son, John Quincy Adams, the sixth president of the United States. Adams is named for either John Adams, the second president of the United States, or his son, John Quincy Adams, the sixth president of the United States. Adams County was established in 1851 and originated in 1853. The county and its county seat were named for John Quincy Adams, Quincy was the original county seat. At the time, Montgomery County Sheriff Amos Lowe issued the election certificates to the first county officials of Adams County. One half the town of Quincy was given to the county to sell and use the revenue for building the first courthouse. Two courthouses were built in Quincy, a noted station on the Underground Railroad. The first courthouse sometimes was used to hide fugitive slaves. In 1857, the Quincy Guards were organized, the first volunteer military company in western Iowa. In the Civil War that followed, these men became famous for their bravery, and nearly all 40 young men composing the company became officers before the war ended. The first book of minutes of the Board of Supervisors begins in May 1857. The Board met usually the first day of the month and continued for as many days as it took to complete all business. In 1862, for four and one-half days work and 14 miles travel, supervisors received $10.68. Queen City and Corning requested public votes for relocation of the county seat in 1859 and 1869, respectively. Neither got enough votes. However, Corning incorporated in 1871, requested the vote again in 1872, and was successful. The citizens of Corning built a new courthouse at their own expense. This courthouse burned down in 1888 (all county records and documents were saved), and another one was built for $28,183 and dedicated June 20, 1890. The present courthouse was dedicated Oct. 7, 1955 and cost $218,635. It was built right in front of the old courthouse, which was eventually razed. 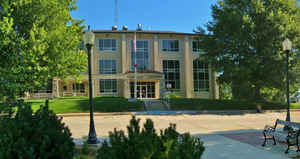 In 1997 the Board of Supervisors voted to renovate the courthouse. The project was started in August of 1998 and took one year to complete. The courthouse has a new exterior finish, new signage and entrance canopy design. A remodeled jail and jail addition now accommodates 4, 6, and 8 beds in a dormitory type setting plus a 2-bed holding cell which is handicapped accessible. The total cost of the renovation project was $850,000. Other historical facts include Adams County was home to former Iowa Governor Dan Turner and the birthplace of Johnny Carson. The Icarian Society came to Adams County in 1852 and established a settlement east of Corning. The Icarian Foundation is undertaking the huge task to preserve history through restoration of the colony. 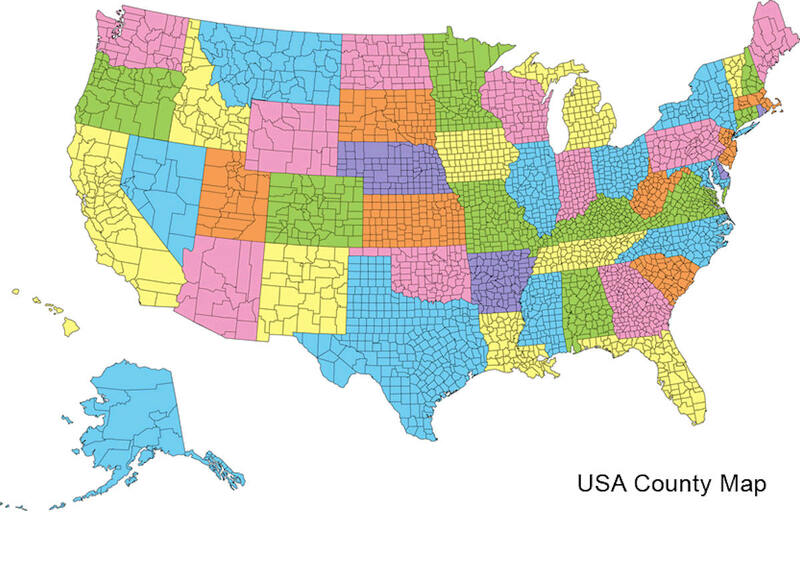 As reported by the Census Bureau, the county has a total area of 426 square miles (1,100 km2), of which 423 square miles (1,100 km2) is land and 2.1 square miles (5.4 km2) (0.5%) is water. Adams county is located in southwest Iowa.